Being a prominent Supplier, Exporter and Importer in the industry, we present a wide range of KTC Digital Torque Wrench. 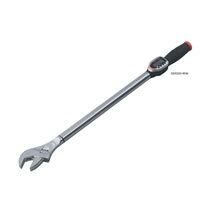 Another one is KTC Digital Torque Wrench (GEK200-W36). It is available in the market at an economic price. It is available with overload record (once the torque reaches 110% of the maximum range) and has calibration cable: ist-w-cable which ensures there is no error in the process of operating the Torque Wrench.